It has been cold start for May in Finland. Today it was only about +7 and windy, so it was quite chilly to work at the boat. The cold weather is supposed to continue for few days but the weekend should be slightly warmer. That's good news because we are planning to take the first sail of the season on Friday or Saturday. 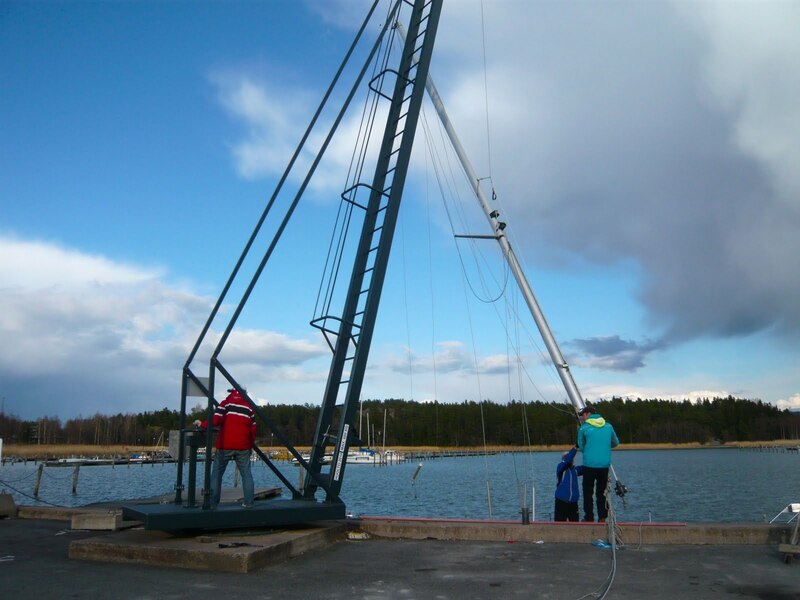 The mast was raised on Sunday 1st of May. There was a problem with the length of the shrouds. The reason for this was that the old Hasselfors rigging screws were changed to Selden's Bronze screws, which are slightly longer. To compensate this the shrouds were shortened, but apparently too much. So toggle was needed between each shroud and rigging screw. We couldn't buy them but next morning since the shops were closed. 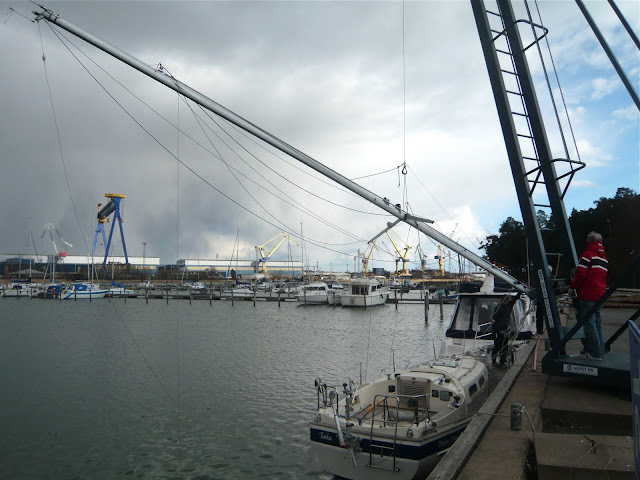 So the boat was left under the mast crane and we finished the rigging on Monday.